Who wrote the anti-Trump New York Times op-ed? 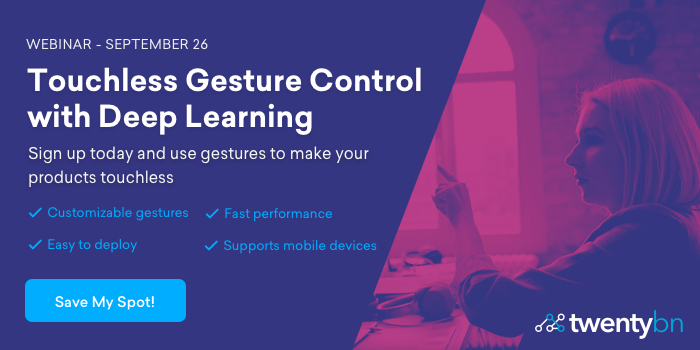 Join this free webinar on Sept. 26th and take full advantage of deep learning in making your products touchless! With a live demo, you will see how fast and easy it is to customize and deploy the high-performing 20BN touchless gesture control system! Using an Amazon Echo, here is a deep-dive in the full-stack behind AI systems. Researchers with Imperial College London and Chinese furnishing-VR startup Kujiale, have released InteriorNet, a large-scale dataset of photographs of complex, realistic interiors. InteriorNet contains around 1 million CAD models of different types of furniture and furnishing, which over 1,100 professional designers have subsequently used to create around 22 million room layouts. Dataset containing (image-URL, caption) pairs designed for the training and evaluation of machine learned image captioning systems. I'd be happy to include your job listing in AIWeekly. Fill out this form to add an open position to the job board.